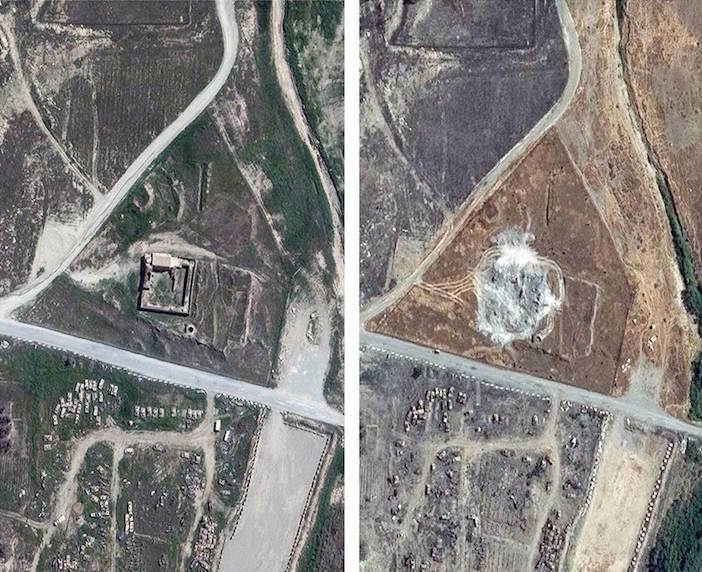 The Associated Press is reporting that satellite photos they have obtained confirm what church leaders, historians and Middle East preservationists had feared: that the oldest Christian monastery in Iraq has been reduced to a field of rubble. St. Elijah’s joins a growing list of more than 100 religious and historic sites looted and destroyed by Islamic extremists ISIS, including mosques, tombs, shrines and churches. Ancient monuments in the cities of Nineveh, Palmyra, Hatra and throughout the region are in ruins. Museums and libraries have been pillaged, books burned, artwork crushed — or trafficked. St. Elijah’s Monastery was a Christian place of worship for more than 1,400 years. In earlier millennia, generations of monks lived and worshipped here. The Greek letters chi and rho, representing the first two letters of Christ’s name, were carved near the entrance. Built in 590, the monastery has a long and storied history. Tragedy struck at St. Elijah’s in 1743, when as many as 150 monks who refused to convert to Islam were massacred. In 2003 St. Elijah’s closed again — this time a wall was smashed by a tank during the Iraq War. Iraqi troops had already moved in, dumping garbage in the cistern. Then the U.S. Army’s 101st Airborne Division took control, painting over ancient murals and scrawling their division’s “Screaming Eagle,” on the walls. 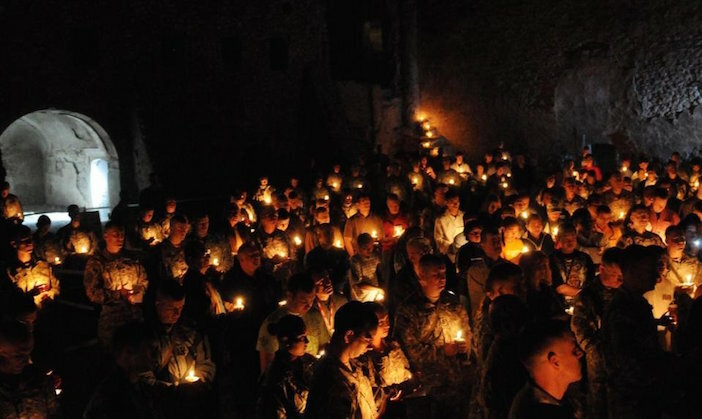 Recognizing its significance, a U.S. army chaplain began a preservation initiative.